Expert stain removal, carpet repair, stretching & more! We offer a large array of floor cleaning services for both residential and commercial property including carpet, tile & grout, wood, vinyl and concrete floors. Our goal has always been to provide our customers with fair pricing, fast and courteous service, and a job well done. We guarantee it! 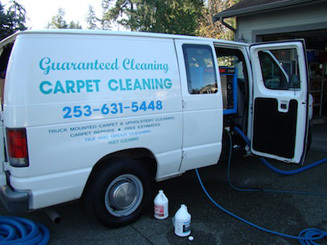 We provide the best carpet and floor cleaning services throughout South King and North Pierce County, including Kent, Auburn, Maple Valley, Black Diamond, Covington, Renton, Enumclaw and Tacoma. You’ll get fast, courteous and knowledgeable service for your home or business. "I am very pleased with the quality of your work. 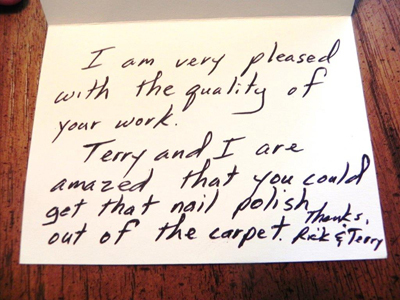 Terry and I are amazed that you could get that nail polish out of the carpet." We are specialists when it comes to commercial and residential floor cleaning services. We maintain our high standard by continuing to enhance our quality services. We are totally committed to serve our clients by having customized floor cleaning services so that we can fully meet the special needs of every customer. Our professional floor cleaning services cover a wide range of commercial and residential floors. 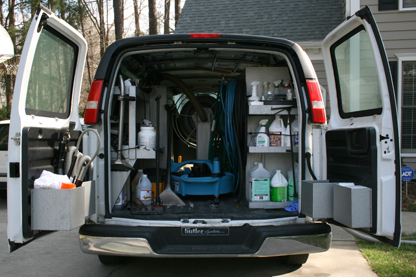 Our truck-mounted carpet cleaning system can remove your carpets most stubborn spots and stains, including pet, food, juice, coffee and blood stains. Hot water extraction flushes out dirt and debris, is more powerful than portable units, and results in quicker drying time for both carpet or furniture cleaning. As an owner-operated business, we have been serving residential and commercial customers throughout South King and North Pierce County with their floor, furniture and air duct cleaning needs since 1979. We are licensed, bonded and insured, offer everyday fair pricing, free estimates and your satisfaction is guaranteed! Air duct cleaning can improve the indoor air quality of your home or commercial property. Air ducts are responsible for circulating warm or cold air throughout your building. Periodic cleaning of the ducts helps to remove pollen, bacteria, dust mites and other pollutants which will help reduce irritants and allergens from your living environment. Do you own investment property? We can help keep your asset in good condition! Protect your investment with our carpet and floor cleaning services. From single-family homes and duplexes, to condominiums and apartment complexes, we are the ones to call. Stripping and waxing will bring back the shine to sheet vinyl composition floors. Vinyl floors will show wear and tear over time. Tired of mopping when your floors still look worn out? Our services can restore the shine, remove yellowing, spots and stains, increase durability and protect your floors from water penetration. We have been cleaning residential & commercial wood floors since 1979. If you are not sure what kind of finish your wood surface has been treated then there is no need to worry. We can tell the difference in just a few moments and clean a existing wood floor to perfection or restore an old hardwood floor back to its almost new condition. Contact your carpet cleaning experts today for a free estimate! Our services are designed to keep your home and business floors and furniture looking great. From stain removal and cleaning to waxing and carpet repairs, we have you covered. Have questions? Give us a call at 253-631-5448 or text us at 206-817-2736. Residential and commercial air duct cleaning to maintain good indoor air quality. If you need indoor revitalization of your home or business, we recommend calling the expert Kent carpet cleaning service. We, as professional carpet cleaning Kent services, understand that appearance is not the sole reason for contacting a Kent carpet cleaner. Our Kent carpeting cleaning service recognizes that with age, carpets accumulate stains, dirt, dust, odors, pet dander, and a variety of other contaminants that can develop into serious allergens. Our Kent carpet cleaner staff can rectify those carpet cleaning issues. As Kent carpet cleaning experts, we are second to none in evaluating carpet entrapment of every kind, and applying customized state-of-the-art carpet cleaning techniques to restore and preserve your carpets. We, as Kent carpet cleaner professionals, are familiar with costly traditional retail carpet cleaning products, such as spot cleaners and detergents that tend to exacerbate soiled carpet conditions. Let our Kent carpet cleaning service tailor a carpet cleaning service for you that is both child and pet-friendly, and competitively priced. Call 253-631-5448 for an experienced Kent carpet cleaner service. Local residents and commercial business owners have a natural choice for expert Kent carpet cleaning services. We, as a Kent carpet cleaning company, have a history of satisfied customers because we tailor our Kent carpet cleaner services to meet your specific carpet cleaning needs, leaving no harsh chemicals that could result in damaged fibers, or allergic reaction. Call 253-631-5448 for a Kent carpet cleaning company serving residential and commercial property owners in the Kent, WA area and beyond. 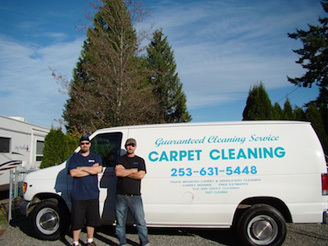 Call 253-631-5448 for an experienced Kent carpet cleaning company serving the Kent, WA area and beyond.